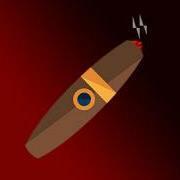 ElJavi76 replied to Ethernut's topic in Cigars Discussion Forum "the water hole"
Senor Nino. There... All ñ's are stricken from the record. Autocorrect is intrusive. Kinda like having domain over everything. Fitting for this thread I'd say. Espacios sounds like music to my ears. ElJavi76 replied to ElJavi76's topic in Cigars Discussion Forum "the water hole"
I repeat... I just don't know how we choose n pick what dictators we rub elbows with. Cuban tanks in Venezuela? I think of you put your finger in the barrel of said tank cannons you might be able to stop them. Agree with @Ethernut... Cuba's govt has no choice but in the end it's just like divorce. The innocent get hurt the most. I just want it to all go away soon. I feel for the innocent in Venezuela and for the same in Cuba. Including my aunts and cousins who will surely feel the burn. ElJavi76 replied to Min's topic in Cigars Discussion Forum "the water hole"
ElJavi76 replied to MoeFOH's topic in Cigars Discussion Forum "the water hole"
Go for the car... I've already been on a Suzuki doing 130 mph. Although getting head on a Suzuki sounds like a better challenge than doing it in a Bugatti. Am I right or am I right @MD Puffer? ElJavi76 replied to El Presidente's topic in Cigars Discussion Forum "the water hole"
A beautiful and delicious Trini La Trova courtesy of @SigmundChurchill. Thanks Elliot! ElJavi76 replied to JayJay's topic in Cigars Discussion Forum "the water hole"
I have to say my most memorable an HdM San Juan from '15. ElJavi76 replied to Ken Gargett's topic in Cigars Discussion Forum "the water hole"
Ooooh snap. Congrats Brent! Nice job bro. ElJavi76 replied to Man D'olin's topic in Cigars Discussion Forum "the water hole"